Energy costs are a big issue when it comes to the costs of running a business. Keeping your space cool during the summer and warm during the winter can be a big challenge. Dallas Window Film has a solution that is easy, economical, and can provide an ROI within 2-5 years. Energy efficiency window film is the perfect solution for keeping your energy costs to a minimum. Maintaining a comfortable, clean and pleasant environment for your restaurants customers can be very important for your business. Installing energy efficient window film can help keep your energy costs down so you can use your money for other areas of your business. Restaurant windows are notorious for producing annoying glare that can make your customers dining experience unpleasant to say the least. If you own a coffee shop or cafe where customers frequently use laptops this can cause you customers to choose other places to eat. If you own a bar or pub this window glare can make watching the big game almost impossible without the constant opening and closing of window blinds. By installing glare reduction window film you can avoid these problems all together. This type of window film completely blocks that annoying glare from the sun as well as eliminating the need for costly window blinds. 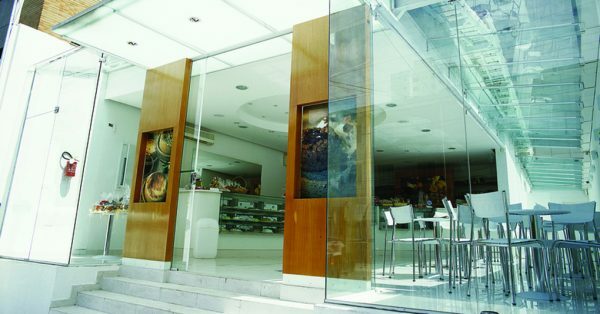 If you have a restaurant with partitions you might consider decorative window film. Decorative window film can add privacy to partitions while adding a unique style to your restaurant. If you have a logo or branding style you want to follow, decorative window film makes it easy as well as economical. Dallas Window Films expert contractors know window film. Our project managers have several years in the business of window film, so you will can be confident that the entire process will run smoothly. After installing window film you will immediately notice what an amazing difference window film can make in your restaurant. If you have questions regarding any of our window films, you can give Dallas Window Film a call. If you would like to set up a free on site consultation please give us a call.